Apologies, but nothing really leaps out at me about today's comic. Which is a bit ironic, given that a large portion of the comic is given over to Batwoman leaping out of one plane and onto another. It's a pretty sweet action sequence, and showcases Williams III's ability to do the widescreen superheroics of something like The Authority, but with an incredible painterly eye. 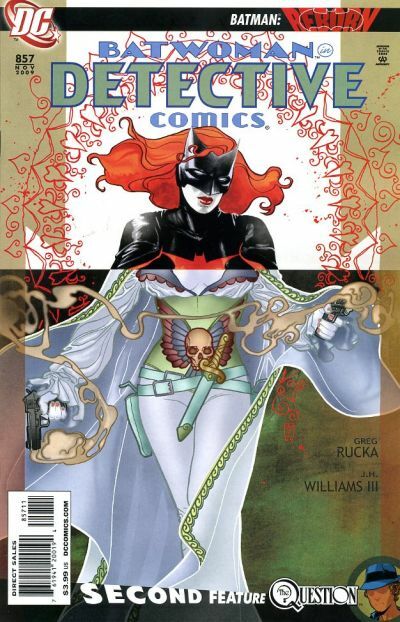 The cover is interesting, showing more of Alice than of Kate, but the comic itself reflects that, in that much of this issue focusses on the antagonist.